I love to cook and having a trusty kitchen utensil is important and cuts down on some of the harder parts of cooking. 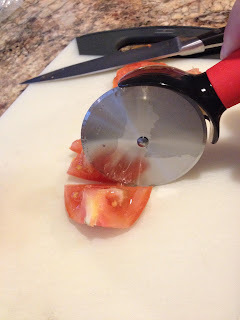 I was asked to review the Kitchen Monster Pizza Cutter and being that I enjoy cooking, I was happy for the opportunity to give the Pizza Cutter a try. The product is made by Greenwald Brands and the first thing I noticed when I opened the package was the flier that stated if you registered your Pizza Cutter you would get an extended 2 year warranty plus free tips from their Master Chef and future product coupons. I thought that was a cool feature as how many people do you know that actually have faith enough in their utensils to offer a 2- year warranty. I have actually used my Pizza Cutter a couple of times since I received it and all it was easy and sliced quickly and evenly through my food. It is summer so salad it a main dish in our house. I wanted to make up a quick bowl of my yummy Chunky Avocado Dip. 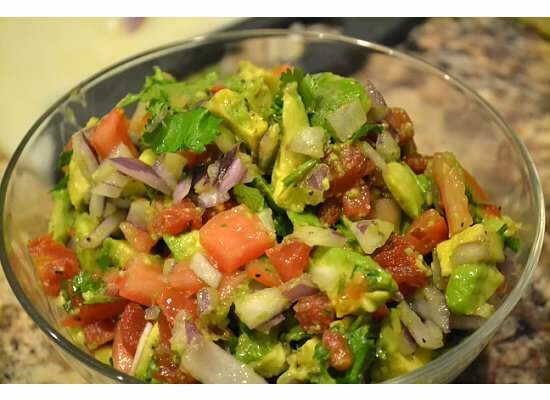 I know it seems strange to use a pizza cutter for a dip but the Kitchen Monster was nice and sharp and I managed to cut all the onion, tomatoes and Avocado quickly and with nice even pieces. My husband used it to cut our daughters sandwich up into nice little slices and can't wait to make some of our pulled pork pizza so we can use it again! So many uses for a pizza cutter I'd never thought of! 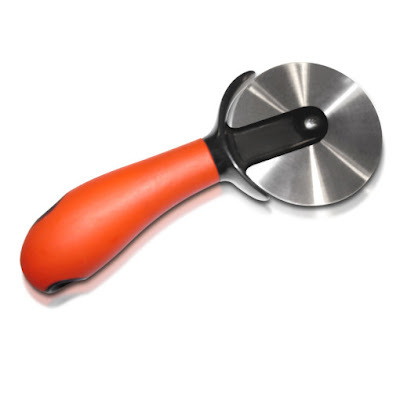 This is a nice pizza cutter and you are right that it can be used for so many things.